Martha came to our home on September 16, 2008. We were told very little about her, because the State only knew snippets of what they were told on that day just before 5:00 pm. We knew that a man named Jacob had come to the Massachusetts courts to claim Martha as his daughter. When we met him and we heard his story, we fully believe that he is her father. 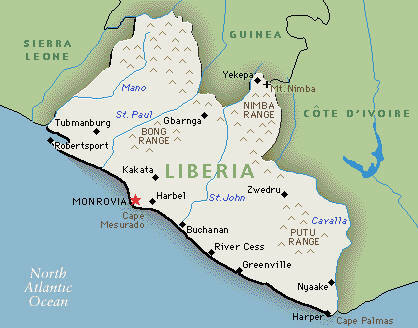 Jacob is from Liberia. He met a pretty girl named Sunday and in 1990 they began a family. Sunday gave birth to twins, just as the First Liberian Civil War was beginning to rage. Jacob and Sunday decided together that it would be best to get the girls out of the country. They loaded Martha and Jaqulyn into a basket and carried the basket on their heads as they hiked through jungles and rural communities to the Ivory Coast, where Sunday and the girls settled. Jacob went back to Liberia, choosing not to be a soldier, but to serve with the Red Cross to support his new little family. While he worked in Liberia he received word that one of his little baby girls was unable to get medical help and died at three months of age. A few years later he received word that his beautiful Sunday had also died. He returned to see his daughter, Martha, now a five year old, and brought her back to Monrovia, Liberia with him. Since he was working full time, he paid for Martha to stay with friends of his who had children. In the home of this older couple, Martha was able to attend school and see her father. A number of years later Jacob received word that he had been granted permission to live in the United States; he was chosen from a lottery of people. In 2002, Martha and the family she was living with waved good-bye to Jacob at the airport, all were anticipating when father and daughter would be reunited again. It was Jacob’s dream to make enough money to bring his daughter with him to America. In 2003, Martha’s maternal grandmother came to Monrovia to take Martha during her school vacation. Jacob had encouraged Martha’s connections to her mother’s family, but was horrified when he heard that Martha had left on school break, but was never returned to her temporary family. Jacob’s journey to find his daughter began. From the United States he worked to find out what had happened to his daughter. He soon learned that his daughter had been sold to another Liberian family for profit by her maternal grandmother. Jacob began searching for this family and for his only daughter. Jacob’s search was a difficult one. Financially limited he had to pour all the money he earned into working with lawyers and connections in Liberia and Ghana as they searched for his daughter. A number of times Jacob’s people came close to obtaining custody of his daughter, but over the years each turn ran into a dead end. He worked through the courts systems in Liberia, and Martha was taken to Ghana. She was seen in Ghana in a refugee camp, but just as he was about to make a connection, she was moved. Finally, in 2006, Jacob received word that Martha was in the States in Lynn, Massachusetts. Working with a lawyer here on the North Shore he worked diligently to obtain custody of his daughter. He gathered all of the right documentation, birth certificates, school papers, a death certificate for her mother, there were dozens of hurdles, and this man jumped everyone to try and be reunited with his daughter. Every time they went to get Martha, the door was closed. Finally, this summer Jacob had everything he needed, all the paperwork was in, the court was ready to award him custody when his own lawyer put on the brakes. If they simply went to the home to get Martha and she was not there, the family would move again; and there would be more hurdles to jump. Jacob’s lawyer insisted that they wait, and instead of removing her from her home, it was their only option to wait until school began and remove her directly from school, so that she would not be hidden away again. On September 16, Jacob took the train to Boston, took the T to the courthouse, sat through his hearing, and waited for them to bring his daughter to him, reunited finally after six years of being apart. Wow… what an incredible story! Someone is bound to make this into a book or made-for-TV movie. This poor man has gone through so much. His daughter must be so confused and saddened right now. I wish them both much peace. Oh Liza! What an incredible story of persistence. Looking forward to how this story ends and praying for Marthaline and her Jacob as all this goes on!